How To Make A Zombie. 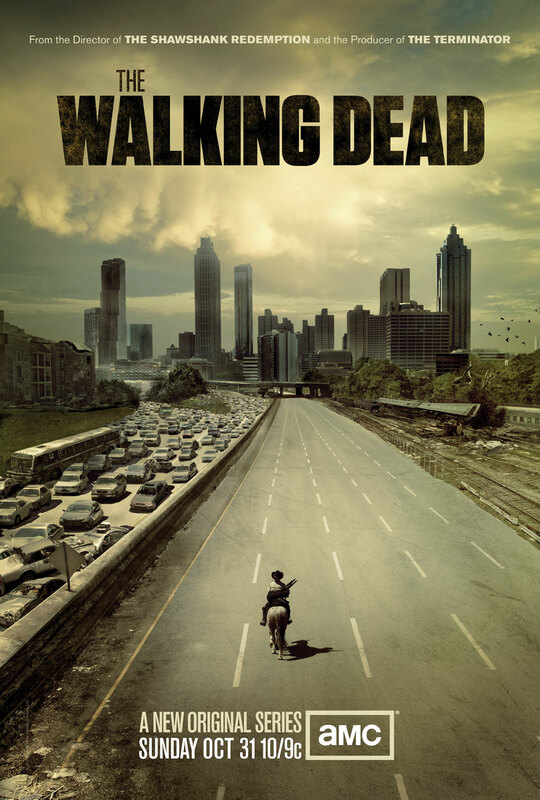 The walking dead is one of my favorite shows on TV right now (since Entourage ended). It’s just interesting to me to see how everyone involved can take a simple zombie movie premise and turn it into a full blown series. For anyone who hasn’t seen it, it’s a damn good ongoing story that not just all about shooting the undead in the dome. 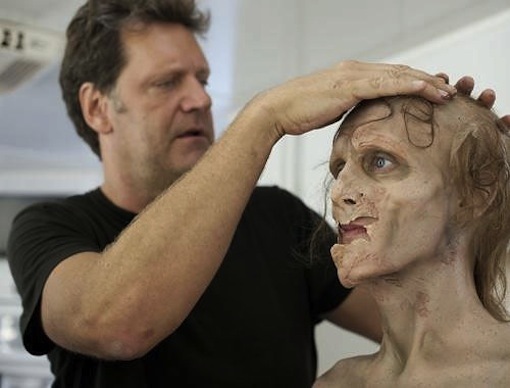 One of the things that never really grabbed my sense of curiosity was just how they made the zombies in the show. 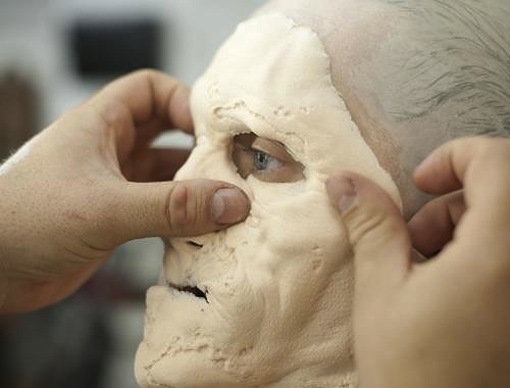 But the make up designers for the show recently put up somewhat of a tutorial on how exactly they do it. Check the method. 1. The “Walking Dead” makeup team fits actor Kevin Galbraith with a bald cap and accentuate his high cheekbones to make them look sunken. 2. Next, Galbraith is fitted with rotten-looking, custom-made dentures that can fit under a prosthesis. 3. 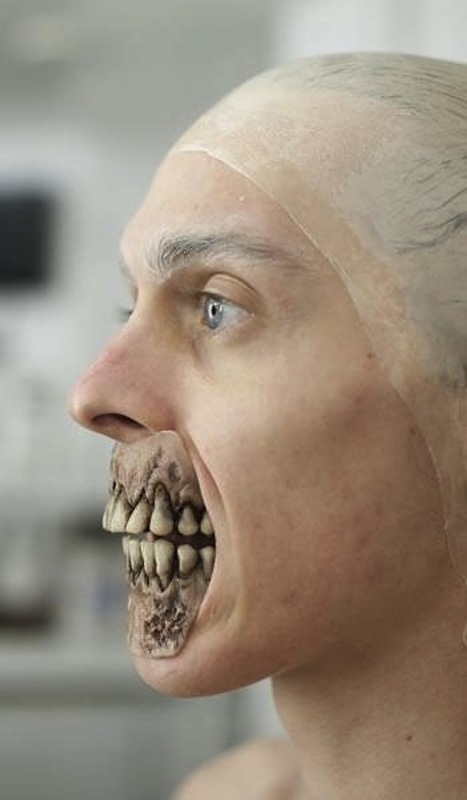 A custom-made, foam latex prosthesis extends from Galbraith’s forehead to his neck. 4. Makeup artists Kevin Wasner (far left) and Jake Garber glue on individual body wounds. “We had to do his entire upper body. 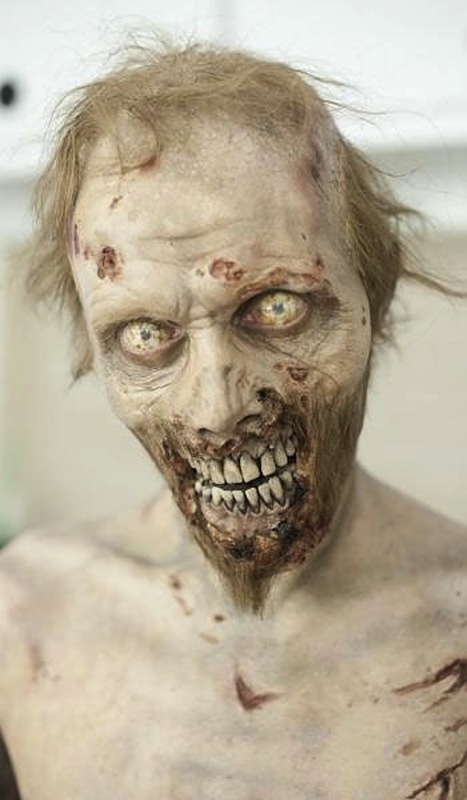 It took 45 minutes,” Nicotero says. Zombie blood is a mixture of Karo syrup, red and yellow food coloring and caramel, plus a drop of detergent so it soaks through clothing. 5. Garber next fits the greasy, sparse zombie wig to the bald cap. 6. Zombies have no time to shave so Wasner adds some stubble and some disgusting dried blood around Galbraith’s mouth. “It’s black sludge in their veins,” says Nicotero. 7. 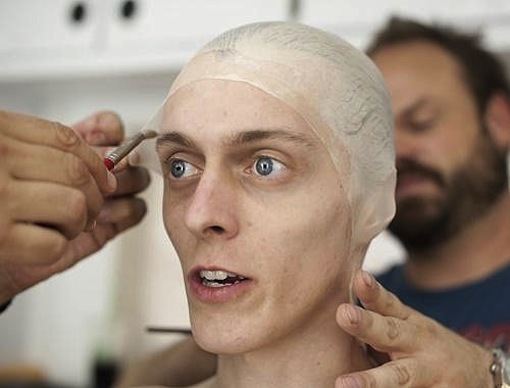 The application of hand-painted white contact lenses is the final step of Galbraith’s transformation from working actor to frightening zombie. 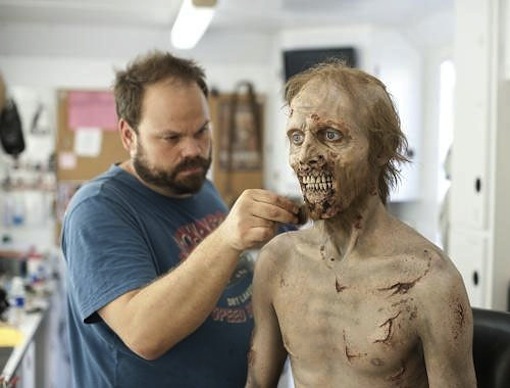 “The most inspiring part of what we’re doing is that you can have the same person sit in your chair 10 times and they won’t look like the same person when they walk out of the makeup trailer,” says Nicotero.